Deciding where to locate a story is a big decision for any author and one I tend to give a lot of thought to. After all, I know that for months to come I’ll be spending much of my waking hours there – if not during my sleep too. Should I set my novel somewhere new and face the challenge (or pleasure) of going off on a research trip? Should I stay a little closer to home and base the story in my hometown or favourite haunt? Or could I create a fictional world where only my characters will ever inhabit? I’ve dabbled with all three options to some extent. Yesterday’s Sun was set in a fictional village, Another Way to Fall in my home town and once in a while I’ve written about places I’ve had to visit before I could include them in a particular scene. But when it came to writing my third novel, Where I Found You, I really had no choice at all. By the time I got around to committing the story to paper, I already had a very clear image of that opening scene in my head. I imagined a traditional Victorian park with a main avenue slicing it in two. It had a bandstand and playing fields, and there was a lake snuggled away from view where my main character, Maggie could sit quietly and let the world go by. I knew every intricate detail of that first scene, right down to the layers of paint on her favourite park bench but that was the problem. The bench, the lake and the layout of the park existed only in my mind and when a lengthy internet search failed to uncover a park that matched my expectations, I had no choice but to create a town called Sedgefield, nestled in the Cheshire countryside with a busy high street and of course the perfect park where my heroine could blossom. By the time I finished writing Where I Found You, I was sorry to say goodbye to the town I had created. So naturally, I went back there. I’ve just finished a novella called If I Should Go which will be out as an e-book next month. Not only is it set in Sedgefield, but my central character had already made a cameo appearance in Where I Found You (although if you blink, you’ll miss her!). And because the novella will be released a month before the novel, readers will get the opportunity to have a sneaky glimpse of the town of my imaginings. It was a first for me to write two stories that are ever so slightly interlinked and it was a joy. Like I said, the town was intimately familiar to me and writing the novella felt like coming home. 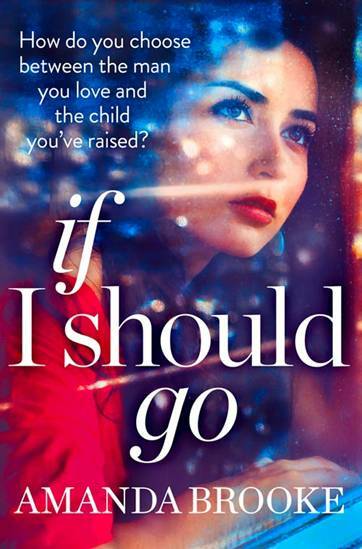 If I Should Go is about a young woman called Rachel who is a single mum and making ends meet by working in a care home and living at home with her mum. She has a second chance of happiness or at least that’s how she sees it when Martin offers her a new life. Writing it was about exploring what happiness means to different people. It’s not only about the sacrifices that we might contemplate taking but also how little we sometimes appreciate what we already have. The novella is out on 8th May 2014 and I really hope you enjoy reading it as much as I enjoyed writing it. And don’t forget to look out for Where I Found You which is out on 5th June 2014!